I have fallen behind on my blogging recently! 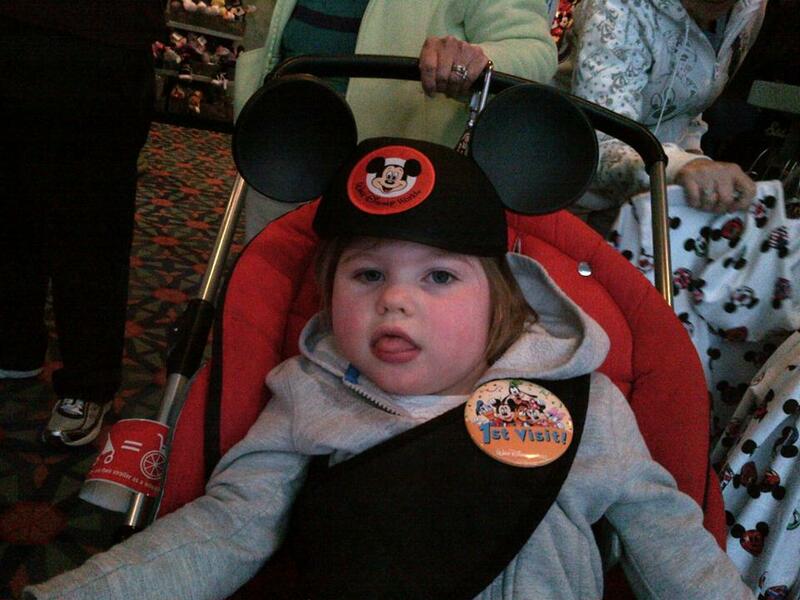 January was a busy month for us but one of our highlights was taking Meredith to Disney World! We stayed with Greg's Grandmother who has a place right near the park. 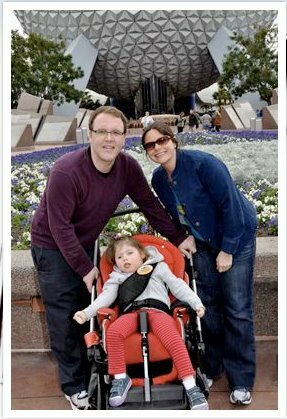 Meredith was a star traveler, had no seizures and she was extra happy and vocal the whole trip - yay!! Upon entering the park, Meredith got her "first visit" pin and we were off to the races. We did a character breakfast where several characters came around to the tables to greet the children. It was very much our speed and Mer got to add some new signatures to her autograph book. The characters were all very sweet and attentive with her. She took a real liking to Mickey Mouse and while we were there whenever we said "mickey mouse", she would smile. The whole park is super handicap-friendly and we were able to wheel her right on several rides. We took her on "It's a Small World" and her favorite, "Carousel of Progress". She also saw the 3D Captian Eo show. She watched everything and really took in all the sights and music. We walked around a lot and hit my favorite part, Around the World at Epcot. She definitely knew she was somewhere special. We got in some great quality time with Gody who was an amazing host and also a huge help with Meredith. Thank you Gody for a great memory! !